Full taxis whizzed past us for quite a long time before we finally found one to take us the short distance to Mpumudde. I was eager to avoid boda bodas on the highway, but should have probably been less eager to avoid the taxi park. Anticipative, smiling faces awaited our arrival and they showed off their new gathering hall. 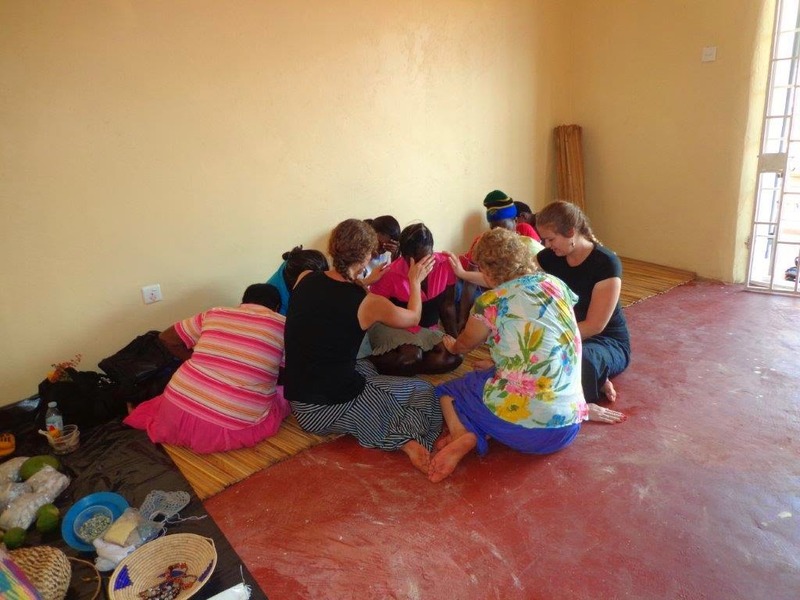 Six women gather together twice weekly to worship, pray, and work on developing their handcraft skills as a way to gradually cease working on the streets of Jinja. The group has yet to acquire a name for themselves and so, Abba Father, is the one I tend to use when referring to them. Many thanks go out to a loving lady in the UK who makes it possible for them to fellowship with one another in this safe place, and to Andrew for sharing this ministry on the ground with us. Chrystina and Rachel taught about Queen Esther and that God crated her for a purpose just like he created these ladies for a purpose. Most of our time, though, was spent in prayer for healing over their various ailments. We invited them to join us and while none led prayer, they were most certainly active with us. Praising God for the gradual growth and development of this group and for the love and care of so many as we continue praying over them.